Premium quality brick trowel is forged from a single piece of high carbon steel for rugged durability and long life. Blade is taper ground to give it the correct flexibility and proper feel. Handle rise is set for the correct hang and balance. Ergonomic handle with finger guard reduces fatigue and provides soft, resilient, feel. Premium quality finishing trowel uses hardened carbon steel to promote long useable life. Aluminum alloy mounting ensures a perfect handle to post fit. Diamond shank prevents handle from twisting. Resilient, durable handle reduces hand fatigue. Finishing trowels are used for finishing the surface of concrete to the required smoothness. Troweling represents the last stage in the finishing process. Premium quality drywall trowel uses hardened carbon steel to promote long useable life. Aluminum alloy mounting is riveted ensuring a tight mounting-to-blade fit. Diamond shank prevents handle from twisting. 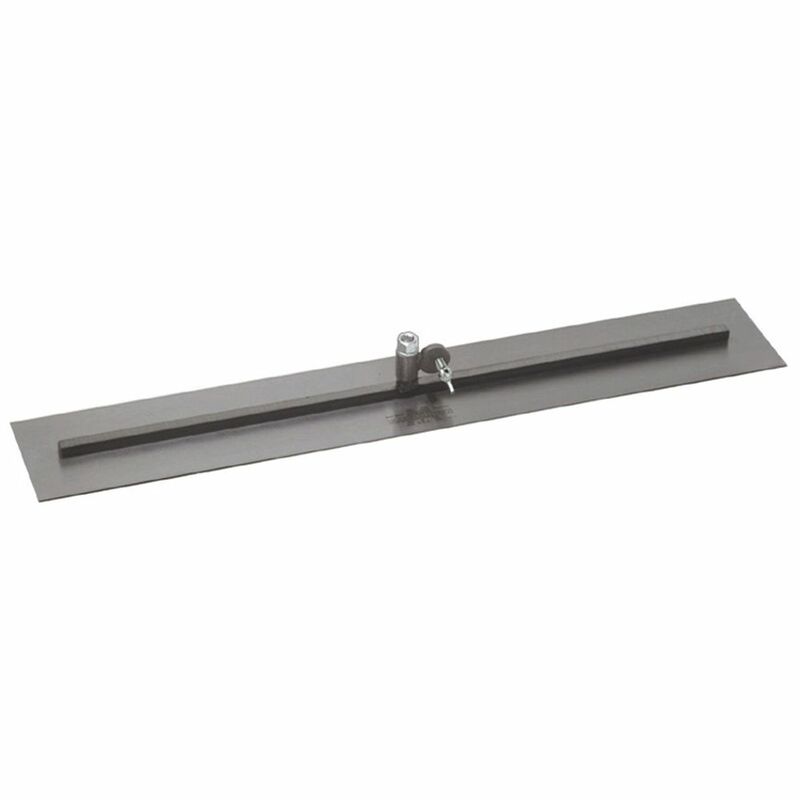 30 Inch Square-End Fresno Trowel Use the Marshalltown 30 in. x 5 in. Fresno Trowel in sealing concrete before it dries. This trowel is handy for covering larger areas and eliminates the time-consuming use of a finishing trowel.